Statuses are used to indicate the stage at which the ticket is present right now in the whole ticket life cycle. These statuses can be customized according to your business workflow. Navigate to Manage >> Statuses from the module switcher. 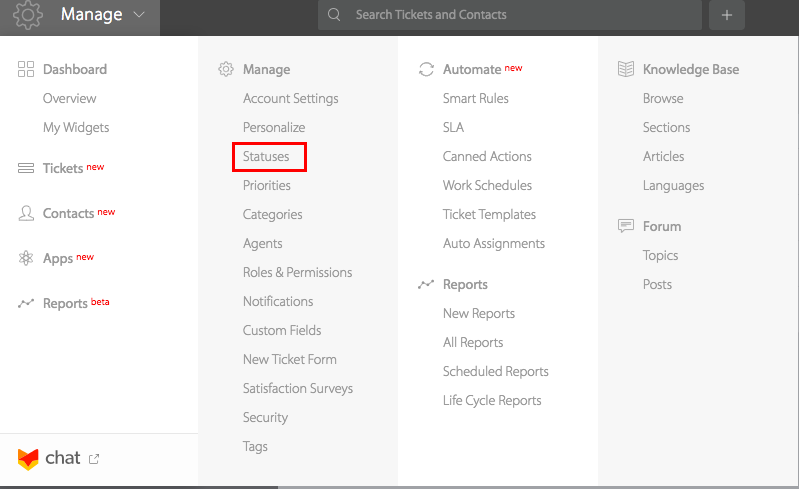 Note: Only agents with “Manage Statuses” can view this section under the “Manage” module. Click on the “+” button to add a new status. Status Colour: This can be customised by clicking on the “Status colour” field. Behaviour: Behaviour is used as a condition in different areas of the app such as category form, satisfaction survey etc. Pending: Indicates that ticket is still unresolved. Completed: Indicates the ticket is resolved. Description: Lets you add a short description of when a ticket should be moved to this status. 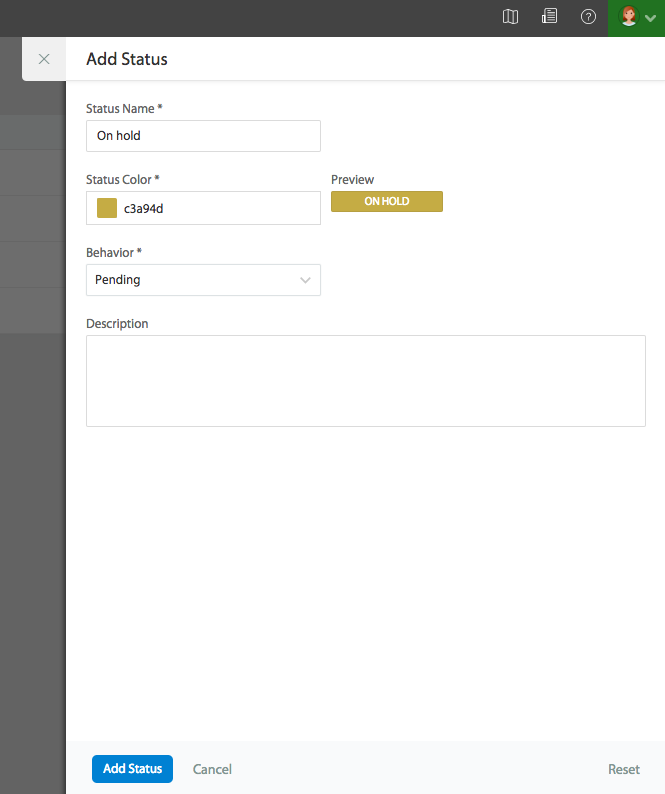 On create, you can view the newly created status in the table view. 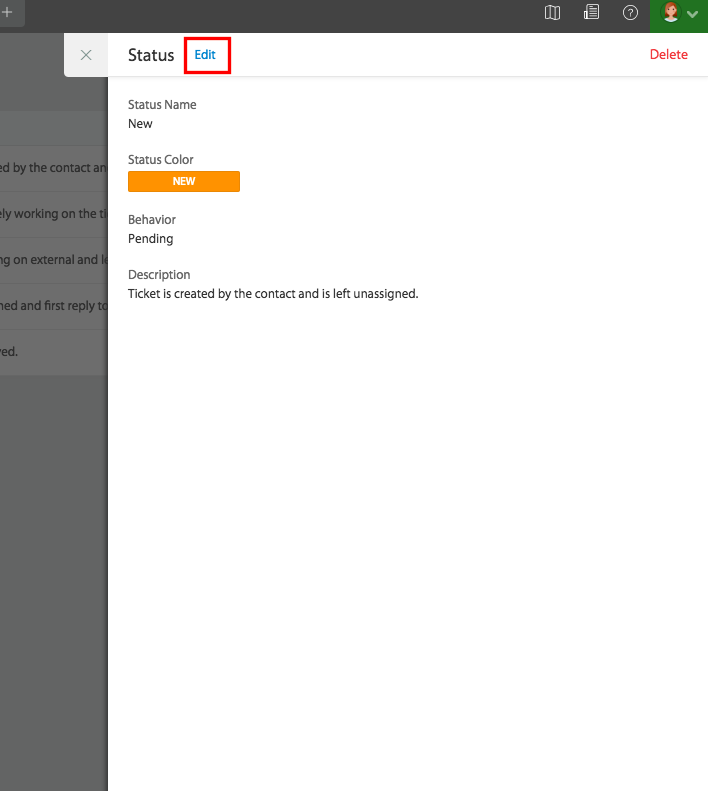 You can then choose to make any one of the status as the default status by hovering the status row and clicking on “Make default” thus making the newly created tickets automatically set to the default status. Click on the status which you want to edit to open a read only form. Click on the “Edit” option beside the status title. On deletion, if the status is used as a condition anywhere in the app, then the delete action will not be allowed until the dependencies are edited.